Love this idea from the latest issue of Martha Stewart Living of fusing two lamp frames together to create a hanging pendant. The frames are wrapped with ribbon making for a unique and one-of-a-kind lighting idea. More info via the September issue of Martha Stewart Living. Related: Follow my pins with Martha Stewart Living this month where I cover heaps more DIY and seasonal ideas by clicking here. Love Martha! 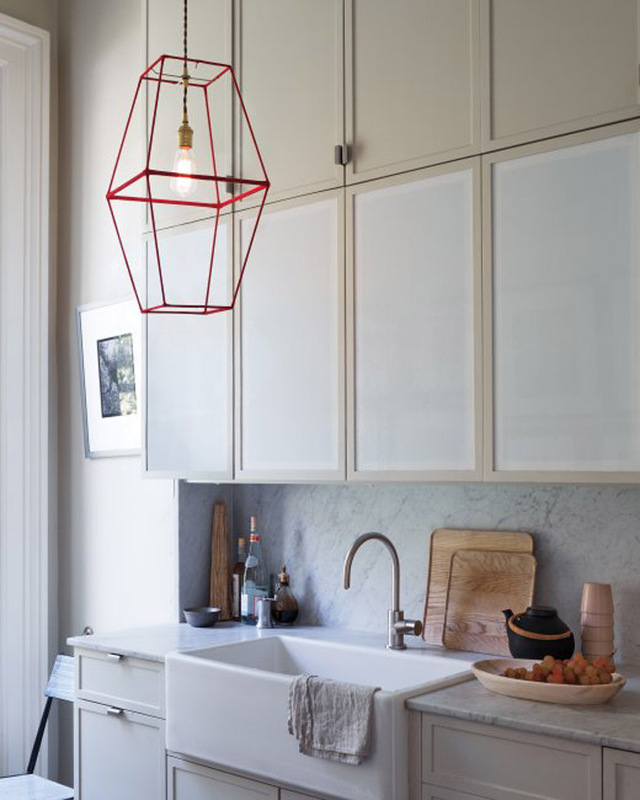 but I really love that light fixture. This is such a great idea! Thanks for sharing this. Now I just need to figure out where I can hang one of these.